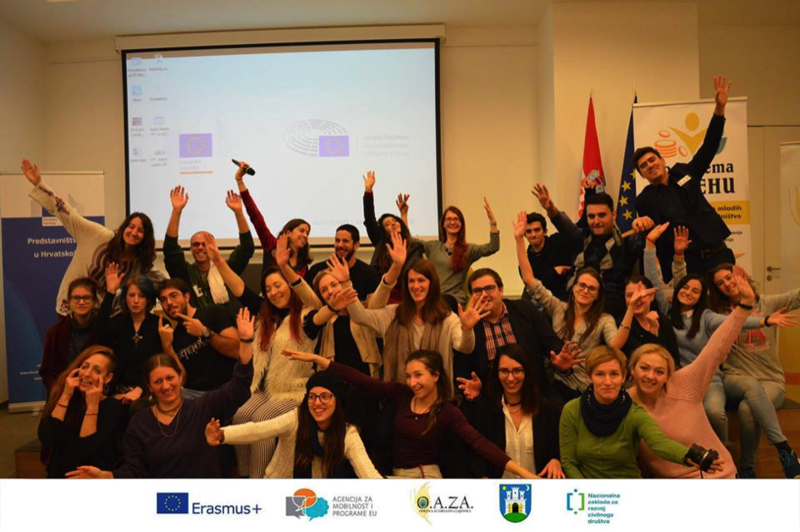 At the end of November last year, we participated in a six-day training program for young people in the Erasmus + program in Zagreb, which targeted the field of social enterprises. The apt title of the project was “Socially Inspired – Entrepreneurship for You(th)” and the organizers of the training were members of the association O.A.ZA. (Održiva Alternativa ZAjednici – Sustainable Alternative to Society). 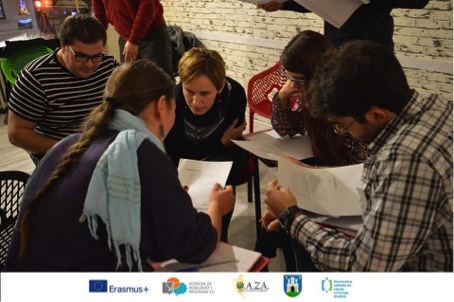 The host organization invited the staff and volunteers of the Eco Valley Foundation to participate in this training, since in a broad sense our foundation also deals with a similar kind of social entrepreneurship. On the first day, after introducing and becoming acquainted with each other, we formed groups and during the activity we determined together the definition of social enterprises. A group of enthusiastic young people came from all across Europe, youngsters were representing Croatians, Poles, Hungarians, Moldavians, Italians, Portuguese, Romanians and Spaniards. The daily program started at 10 o’clock either with presentations, or workshops and groupworks, and it lasted until seven o’clock in the evening, but in between we had a lunchtime break of two and a half hours. All meals, every lunch, breakfast and dinner were tasty vegetarian dishes with colorful and varied flavours prepared from Mediterranean and Oriental recipes. Generally, programs were very interactive, lively, full of games and tasks, thus enabling the participants to deepen their knowledge on social entrepreneurship and increase direct experience and the practicality of it. The themes of the presentations were well matched, but they also involved very diverse topics that directly or indirectly were related to the fundamental theme of the training. For the sake of easier transparency, the themes were divided into three groups in the program, so we also dealt with personality development as well as the technical details of start-up and operation of businesses. Personality development was mainly focused on how someone could become a good leader through his own personal example, as well as how to recognize and manage different types of personality, how to apply it to our professional relationships within our organization, and plan and set achievable goals in our businesses. These were connected to several playful tasks and simulations. One morning, teams had the opportunity to present social entrepreneurships of their own country. The Eco Valley team had a special success, as the presentation really attracted the attention of the audience, and they came forward with a lot of questions related to this presentation. Subsequently, in the afternoon a few guests, who have been successfully running their social entreprises for several years, were invited and the participants could ask them questions about their specific area. On this day we also had a longer lunch break than usual, so we went for sightseeing. Our little team visited the botanical garden of the city, where the beautiful design of the garden gave us a fabulous experience even during this winter period. In addition, we had a memorable walk and visited some of the other sights and attractions of the city center, and appreciated Zagreb’s atmosphere in the Advent season. During the breaks of the programs, an organization representing a specific nation presented and circulated some traditional food and drink specialties brought from their home countries. In this way, during the breaks very pleasant conversations and friendships developed while tasting the curiosities of a country. In conclusion, we came home with a lot of useful information, experiences and memories. For me, my favourite presentations have been those that were related to leadership personality development, and the lessons we have got from the numerous team games that I can easily have as an ace up my sleeve and even apply them in my daily life. The company of the members of other participating organizations was also enlivening and inspiring, and we can say, including the organizer team as well, that the best people came together for this program.